Chesterton writes after appealing to God for help: “O God… our earthly rulers falter.” Here is a statement we can all overwhelmingly affirm this morning. We have leaders who have become so accustomed to the status quo that their t-shirts read: “Keep Calm: No surprise here!” Our God throughout history is constantly changing the political class. When kings and rulers falter for too long, he replaces them. In God’s political cycle, there is never the status quo, there is always change and newness of life. 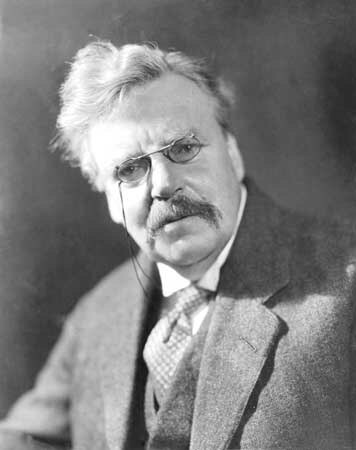 In verse 2, Mr. Chesterton observes that, “From lies of tongue and pen, from all the easy speeches that comfort cruel men…” Have we not become so easily seduced by fancy political rhetoric? We are as a nation more prone to being drawn by political speeches than biblical language. The Gospel calls us to draw near, and we say, “Let me first hear the lies of tongue and pen of earthly rulers.” Chesterton says, “Deliver us, good Lord!” from this kind of fanaticism and blatant disregard of your call to your people. We are comforted by false things in this nation when the abiding truth is that only the Gospel promises true comfort. Finally, Chesterton petitions God to “bind our lives together, smite us and save us all.” This is a bit of a Psalmic imprecation from Chesterton’s pen. He is longing for a form of death/resurrection in the lives of citizens. In other words, make us faithful citizens who wield a “single sword”, that is, “a united Gospel” to crush our dependence on earthly rulers and to satisfy our hunger in the divine king of all creation, Jesus Christ. Our Declaration of Independence will only survive if our pride is taken away. Our freedoms will only last when the thunder of God is proclaimed, when the peoples clap their hands and sing for joy to a ruler who will never falter, never sleep, and never die. Let us pray to our God of earth and altar! Thomas Kidd continues to write on all sorts of men that I find highly captivating. First, his interest in Patrick Henry has re-alerted me to the titanic figure he was, and just how much we need more Henry’s in this generation. Then, Kidd enters into Chesterton’s world and offers a little summary of Chesterton and his The Man who was Thrusday, A Nightmare. Tolle Lege! “If Americans can be divorced for incompatibility of temper I cannot conceive why they are not all divorced…I have known many happy marriages, but never a compatible one. G.K. Chesterton’s Orthodoxy is a masterpiece. It is also a dictionary for brilliant quotations. I regret that it has taken me so long to read this gem. But I am grateful and more equipped after having read it. Chesterton is poet. Orthodoxy at times sounds like ramblings, but they are ultimately poetic reflections on his own journey to embracing the Christian faith. 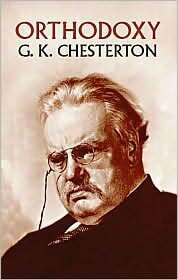 He is in love with the gospel; orthodoxy, for Chesterton, is romance. It’s a dangerous and lively view of life; it is far from monotonous. For orthodox theology has specially insisted that Christ was not a being apart from God and man, like an elf, nor yet a being half human and half not, like a centaur, but both things at once and both things thoroughly, very man and very God. Chesterton has read the great doubters of the Christian faith and concludes that all their attempts to make Christianity more “liberal” or “free” actually made the world more tyrannical. Rather, in the gospel, Chesterton has found the great dance of redemption; the dance of heaven. The arguments in this book are not always easy to follow and this is why I will probably read this again next year. One author said that Orthodoxy is the thinker’s paradise; I concur, and I encourage you to enter this paradise by picking up this book.